The 2018 Hyundai Kona and Honda HR-V impress with their thrifty fuel economy and smooth, comfortable performance. Which subcompact is right for your daily drive? Read our comparison guide before you make any big decisions. When it comes to high-quality materials and cabin assembly, the Kona is the subcompact crossover to beat. You won't hear any squeaks or rattles in this cabin. Moreover, seating is spacious and supportive, making the Kona an excellent daily commuter and road-trip companion. The HR-V also impresses with its accommodating seating, which provides generous head- and legroom in both rows. While we do wish the seats were a bit more comfortable, we can't deny that this crossover supplies one of the smoothest rides in its class. The 2018 Hyundai Kona offers a longer list of driver safety aids. Among its offerings is a forward-collision mitigation system that hits the brakes when it senses an oncoming crash. It only needs to pull you up short of danger once to prove its worth. You'll also find lane-keeping assist, technology that actively helps you stay between the white lines. The Honda HR-V doesn't have quite as many offerings. However, it does provide a unique blind-spot camera. Known as LaneWatch, this camera displays the passenger-side blind spot when you engage your right turn signal, helping you switch lanes without incident. Unfortunately, this crossover doesn't offer forward collision warning or lane-keeping assist, but it does come standard with a rearview camera to help you back out of a tight spot. Here, the Kona takes the lead. All models come standard with a touchscreen interface and complete smartphone integration. Apple CarPlay and Android Auto technology project apps onto the touchscreen so you can interact with your phone without actually looking away from traffic. In the HR-V, all but the base model include the HondaLink infotainment system. Its 7-inch touchscreen can be frustrating to use, however, with imprecise virtual buttons and a somewhat confusing menu structure. Unfortunately, Honda doesn't offer Apple CarPlay or Android Auto on this subcompact crossover. Of the pair, the Honda HR-V earns top fuel ratings. With the 1.8-liter four-cylinder engine and front-wheel drive, it's EPA-rated for 28 city/34 highwy mpg. 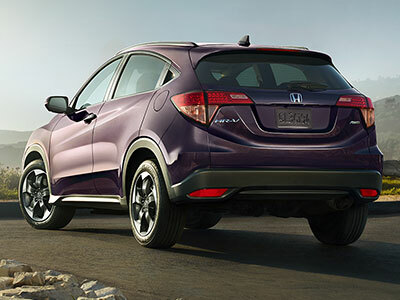 If you live in a wet or icy climate, you can add all-wheel drive to your HR-V for increased safety. 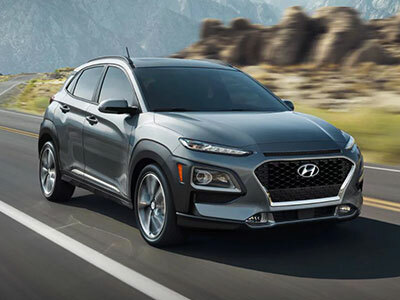 The 2018 Hyundai Kona also offers all-wheel drive for increased traction on slick surfaces. It also follows close behind the HR-V in terms of fuel mileage, earning up to 28/32 mpg. The 2018 Hyundai Kona and Honda HR-V are both strong competitors, but the Kona is our overall favorite. Inside, it impresses with its high-quality materials and spacious cabin. On the road, high-tech safety aids help you avoid danger. The Kona's tech features keep you connected - and you don't even need to look away from traffic.